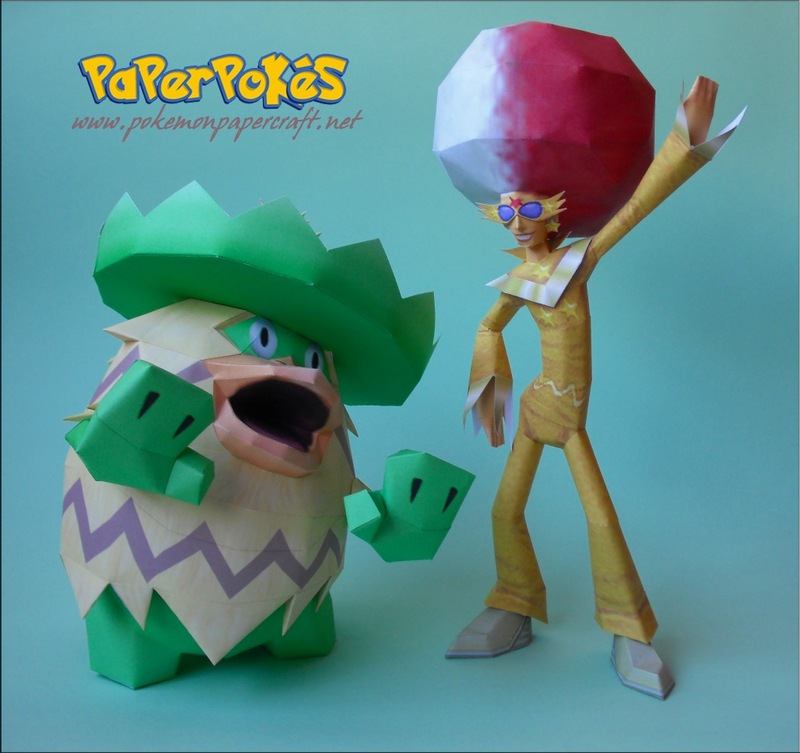 Paperpokés - Pokémon Papercraft: MIROR B. Interesting Facts: In Pokémon Colosseum, Miror B. is one of the four Cipher Admins. 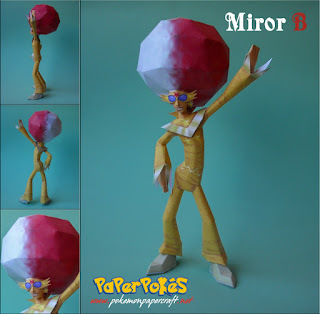 A man with a gigantic two-toned Afro (which resembles a Poké Ball turned on its side), garish glasses, and dressed in a golden sequin-studded leisure suit, Miror B. is the definition of "loud and flamboyant." He spoils his Pokémon and would rather spend time teaching them how to dance than fulfilling his duties as a Cipher Admin. An example of this is seen in Pyrite Town, where he basically lets his grunts do whatever they want as long as they leave him alone so he can practice his dancing. NOTES: Follow the numbers, build from the 'fro downward. Close at the base of the leg, and attach the feet. Be sure they are level, as it will help stabilize the model. This model portrays Miror B. in his Colosseum outfit, not the purple jumpsuit he wears in XD. whoah! didnt see that one coming! Yay!!! is Miror B. I like this guy but i like more his XD Outfit can you do it too?? ?